Learning a new language can be frustrating, especially when you start from scratch; but if you are determined enough to do the hard work, it is totally worth it. Anyone can learn how to pronounce words in Spanish, communicate adequately, and start a conversation with a stranger – all you need is courage to make the first step. According to a study conducted by the Mimic Method, the most difficult task for most Spanish students is understanding native speakers. In the end, how can that be false? Spanish is the second fastest language (somewhere near 7.82 syllables per second) after Japanese (7.84 syllables per second). Acquiring new language skills means getting out of your comfort zone. If you are willing to do that, 20% of the work is already accomplished. Determination, perseverance, and openness are key elements in this equation. Now that we’ve cleared things up, let’s get down to business, Damas y Caballeros! 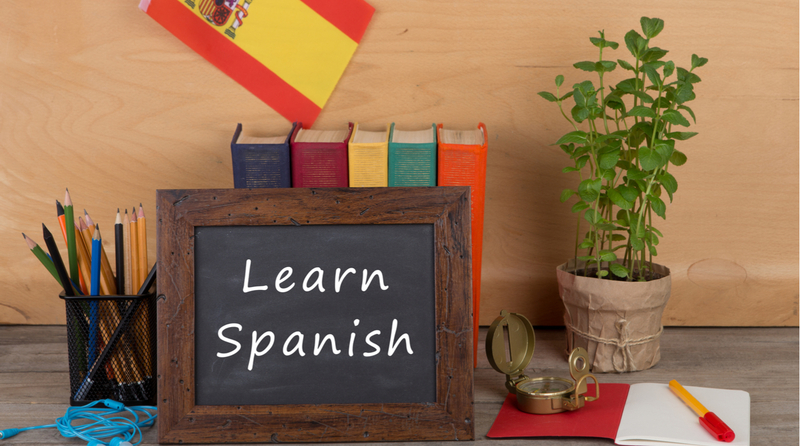 Let’s see how we can make Spanish an easier learning process for you. • Consider what you already know – look into the similarities between the language you already speak and Spanish. Are there any? If so, which are those? Are there any false friends you should be aware of? Here are two quick examples: natural-natural (same word, different pronunciation), horrible-horrible (same word, different pronunciation). • Use flashcards! I cannot even emphasize how important this part is. Make them and test yourself every single day. I repeat. Every single day. Repetition is the mother of learning. • It’s time to act now – after you’ve acquired a decent number of Spanish words, put them into practice. Go out and socialize. Talk to strangers. Check for online practical advice. Search for remote language exchange partners. Get a study buddy! • Set goals – another vital thing to do is setting S.M.A.R.T. goals – Sustainable, Measurable, Attainable, Realistic, and Time-Bound; that way, you can track your progress more smoothly. After you’ve sketched out a plan, it’s time to start practising even more. If you feel that your free options can’t bring you closer to your goals, you have two options: either revise your behaviour and perform an introspection or hire someone to help you with the work. Finding a tutor is not as difficult as it might seem, as there are many particular Spanish teachers available online. If you can find a native, that would be even better. You can always Skype with them, so distance should not be a problem. You can check out some tutors here. Another method of improving both your vocabulary and writing skills is using essay writing help to check your assignments. You must be able to write coherently, especially if one of your goals is business-related. Sending your clients e-mails imbued with countless mistakes does not look good now, does it? Remember! Besides practising with the apps, you also need to practice your skills in a real-life environment. The next point I want to touch on is reading, as it is an essential activity any language learner should perform. You will not only increase your vocabulary, but also strengthen your understanding of grammar. When we read, we come across numerous new words, which we will look up in the dictionary. After some time, we will get the Spanish language pattern, and our learning process will speed up. “Read stories, short novels, and even books if you want to challenge yourself even more,” shares Kim Johnson, co-founder at BestDissertation.com Spain. “Reading what you already know is good practice as well. If you have a favorite volume, go ahead and read it in Spanish. Already knowing the narrative will be of great help,” ends Johnson. EXACTLY. You did not, and you never will. To become a skillful speaker, you need to practice. You must let anxieties go, take a step forward, and practice with offline Spanish speakers. “But how can I do that?” one might wonder. By travelling and conversing with natives! Here are some ideas on how to travel and earn money at the same time. If you really want this, go all in! • Search for jobs on Upwork.com, Fiverr, or any other freelance website. • Become an English tutor in Latin America or Spain! • Become a blogger or an Instagram influencer. • Learn affiliate marketing or SEO. • Become a scuba instructor! • Become a party promoter and many more. 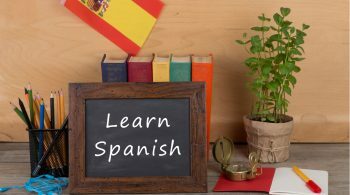 Yes, learning Spanish is difficult without having the resources, and yes, you must dedicate yourself to this process entirely if you want to excel – but hey, it’s all worthy in the end, I promise. Keep your head up and keep going.